Chanel does fabulous eye makeup each & every time. 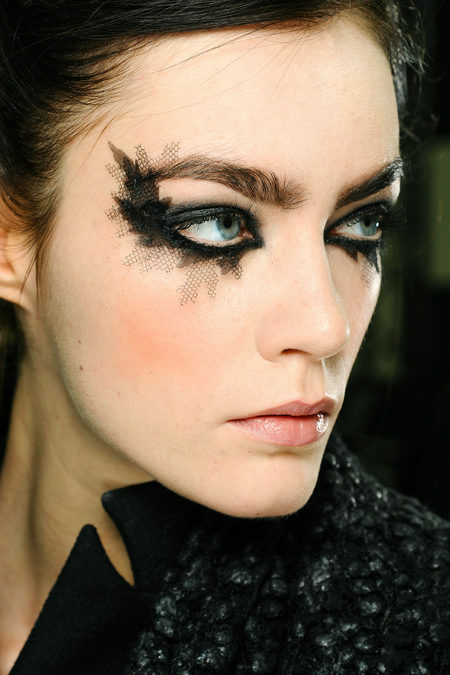 This feathered eye is one of my favourite makeup looks from the Spring 2013 Couture shows. Those are some killer shoes!! How amazing would these look in Winter? 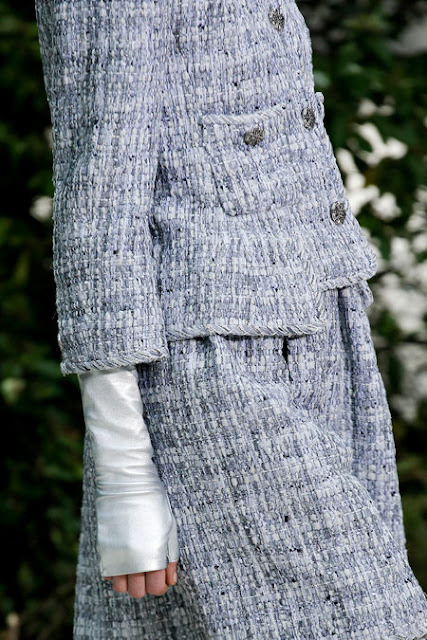 Chanel collections are usually one of my favourites at Paris Fashion Week & this is probably the best showcase in a long time. All the elements meshed beautifully. Chanel, you are loverly. ♥ Music to my ears- It's Time by the Imagine Dragons. This is the song from 'The Perks of being a Wallflower' trailer. I think it's on a Sky TV promo at the moment as well. Regardless, it's a darn good song. Image Credits: All images have been sourced from Style.com. Oh so beautiful! I know right re the Perks trailer! Its crazy how they are using the same song for nat geo!